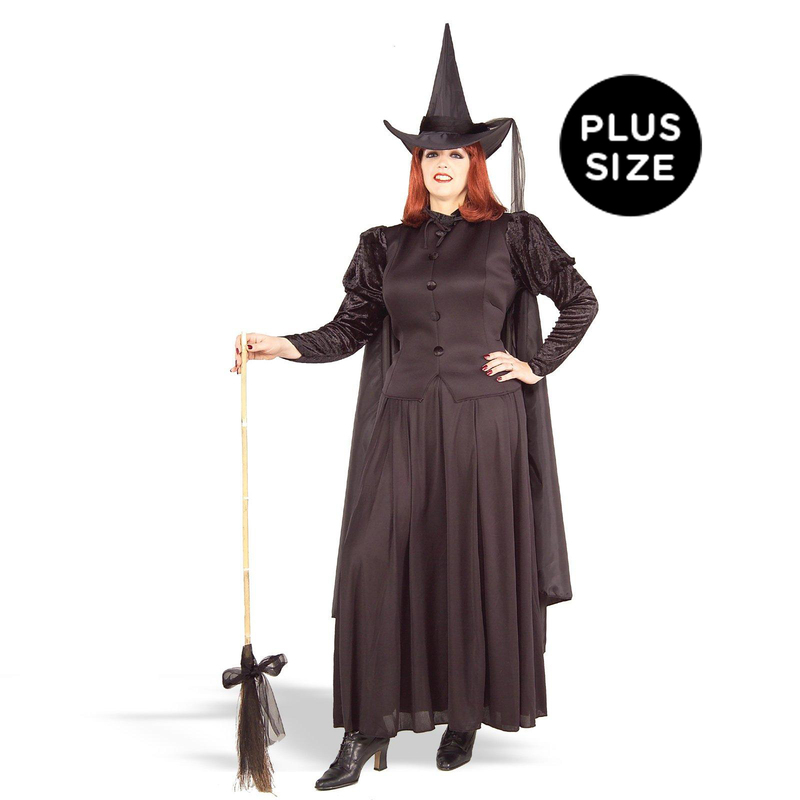 This classic witch costume includes a long sleeve black button front shirt, long black skirt with elastic waist, black cape, and matching witch hat with attached scarf. 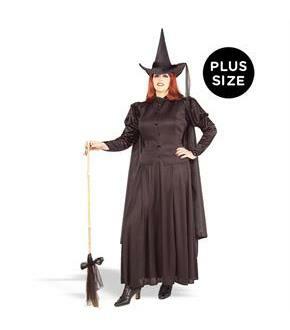 Shoe covers and broom (differs slightly from shown) sold separately. Socks not included.